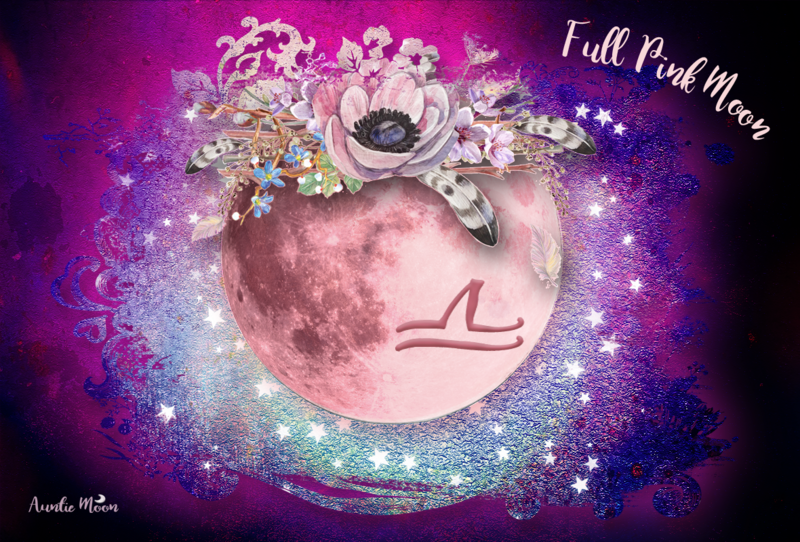 Full Moon in Aquarius ~ Feel Like Bucking the System? 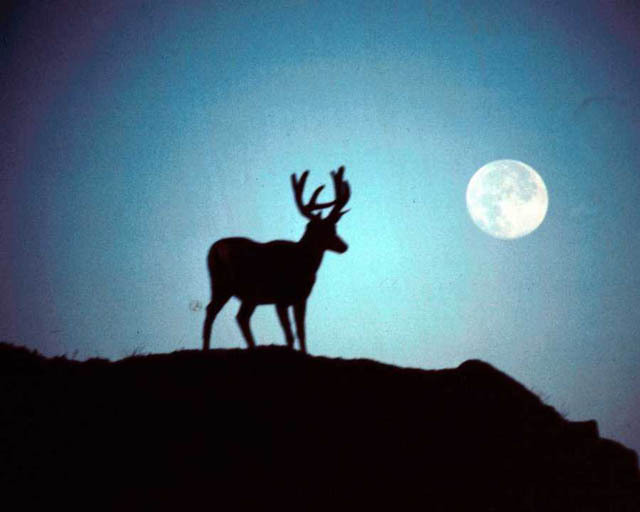 The Full Moon of Aquarius is known as the Full Thunder or the Full Buck Moon ~ Thunder relating to the thunder storms that pop up in the heat of summer and Buck relating to the first velvet-coated growth of the bucks’ antlers. That first growth signals the very beginning of the mating season. Once the antlers are formed, the deer sheds the velvet to expose the bare bone antler that we’re most familiar with and which hangs on lots of walls around the world. The charge two bucks make toward each other is a ritual of the mating season. The two bucks lower their heads, bend their hind legs, and then charge one another. Ever felt like doing that to someone ~ or a system that you just can’t tolerate any more? If you have, welcome to the Full Moon in Aquarius! Let’s get ready to rummmmmmmble. Before you charge head-first into the fray, don’t forget that your opponent is the most esteemed Leo. And Leo is likely to have quite a following. Take a look at the Aquarius/Leo axis in your chart. This Full Moon is at 3° Aquarius. You might be devoting the next couple of weeks to issues associated with that house. What’s to your benefit ~ make the charge with the goal of becoming the new head honcho or defer to the Alpha buck already holding court? Is this Full Moon opposing angles, cusps, or planets in your chart? Are aspected planets acting as allies (easy aspects), teachers (squares) or challengers (oppositions)? Look for anything near 3° of Leo, Taurus, or Scorpio. On January 30 of 2010, we had a Full Moon in Leo ~ just the opposite of energies that our next Full Moon will bring us. You might be revisiting some of the issues that were important to you at that time. Has any new light has been shed on those issues in the last six months? Where do you stand now? For even more insight, think about this time during most years. Do certain themes repeat themselves? Are issues from a year ago re-emerging. Look back over the years ~ do you see any similarities? If so, you’re strongly attuned to that house in your natal chart. The Full Moon in Aquarius has two planetary rulers to contend with ~ Uranus and Saturn. If you’re ready to step into the light, join the Authenticity Camp, and be uniquely you, take a look at what’s happening with Uranus in your chart right now. Does this Full Moon support your efforts? If you’d rather defer to the Big Buck without attempting to make any kind of a charge toward him just yet, take a look at the signals Saturn is sending via your chart right now. Time is Saturn’s friend. Wait. See what develops before making your bold move. Now if we can get Saturn and Uranus to work together, maybe your Buck will break off and start his own harem ~ metaphorically speaking, of course. The Stag offers you choice and free will; the choice of whether or not to take on responsibility for your life and the consequences for others of your actions or inactions. This seems especially relevant to the Aquarius/Leo emphasis on individuality and group effort. Balance. It’s all about balance. Ha! You do some have some mojo working for you, Mary Pat. Saddle up that Buck! That puts your Moon right on my 2Aquarius Ascendant. I’m with you all the way on this one. I think I’ll do whatever the hell I want, too ~ although my hubby would probably tell you I already do. But I don’t. But I will. Thanks, Jude! A Happy Buck Moon to you, too. I’ve got MC at 28o Capricorn, Pallas at 0o Aquarius, and Venus at 5o Aquarius all in 10th House. 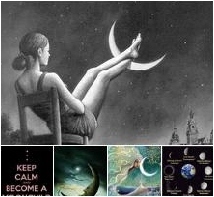 I’ve got Moon at 4o Scorpio in 6th House Libra cusp. What you said is so right, Parin, and it relates to this post, too. One of the things that determines which bucks will become alphas is the state of their health when the mating season begins. They must be in their prime because they don’t eat much during the season and need every bit of strength they have. Just like you said, “when you’re well, it just means it’s time to get back in the fray.” Excellent.